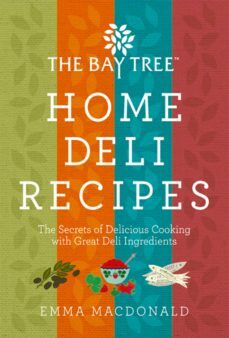 Emma MacDonald, a trained chef and founder of The Bay Tree, shares her celebrated culinary secrets for the first time. Since she first started making jams and chutneys at her mothers kitchen table, her fame has grown, as has her artistry. Now she shows you how to create deli feasts such as Pastrami with Sweet Cucumber Relish, Sticky Redcurrant & Clove Glazed Ham, Sizzling Beef with Korean Vegetable Pickle, and Chocolate Risotto with Cherries in Kirsch. The beauty of Emmas book is that you can mix and match, using deli treats youve prepared yourself, along with deli-bought items. Discover how to make buttermilk, for example, and use it to make a heart-warming Buttermilk-roasted Chicken. Or splash out on pomegranate molasses, and use them to transform a Chargrilled Halloumi Salad. Here youll find all the recipes, techniques and tips you need to create gorgeous deli feasts.